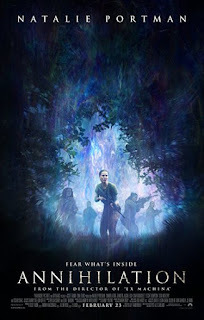 Read Mind on Movies review of Annihilation. Lena, a biologist and former soldier, joins a mission to uncover what happened to her husband inside Area X - a sinister and mysterious phenomenon that is expanding across the American coastline. Once inside, the expedition discovers a world of mutated landscape and creatures, as dangerous as it is beautiful, that threatens both their lives and their sanity. 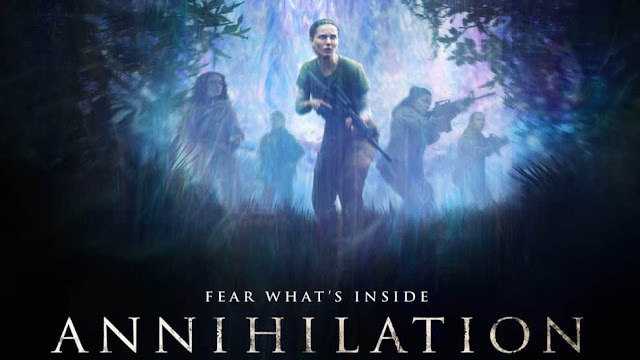 From visionary director Alex Garland (Ex Machina, 28 Days Later) and based on the acclaimed best-selling Southern Reach Trilogy by Jeff VanderMeer, Annihilation stars Natalie Portman, Oscar Isaac, Jennifer Jason Leigh, Tessa Thompson, Gina Rodriguez and Tuva Novotny. So going into this movie, I had high hopes. I thought, Natalie Portman, the director from Ex Machina, how could this movie go wrong, well it did. 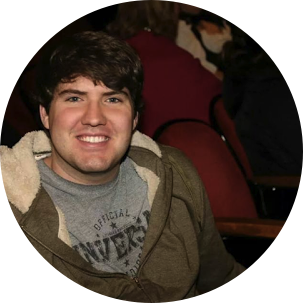 The movie itself wasn't too bad, it just had some flaws that didn't do anything to help the movie. So the movie started off good. It kept the audience interested in whats 'the shimmer' What's going on in their, and why are these people going into it when they know what happens when you go inside. So the first half was alright, but then it starts to go down hill. The movie started, what seemed like, side line projects, that later were never developed in the movie. The only issue was some of those side line projects seemed more interesting than what was happening in the movie. The plant girl? Like why did she change, I didn't see anything happen to her to change into that. Why did they do that? Just to take her out of the picture? That ending... that's all I'm going to say about that. Maybe someone else knows something better about that ending and can comment below. I'd love to know any answers you may have about it. If I were you, I'd probably wait to see this movie when it's on a free movie channel. Oh you don't have that cable package, then just wait til you can rent it from your local library for free. I would't want you to waste you dollar at Redbox.